Professor Sally Brown is a National Teaching Fellow, Emerita Professor of Higher Education Diversity at Leeds Metropolitan University and a former PVC. Sally was also keynote speaker at the recent Sussex Annual Teaching and Learning Conference, ‘Strategies for Student Engagement’. 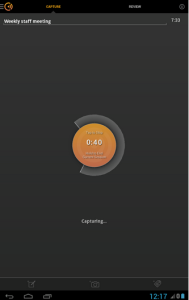 Cogi is an audio recording app I discovered the day before. Bring Sally and Cogi together and I can now happily bring highlights of the keynote to you. how can a university cultivate effective teaching as well as effective research? how can we retain students and ensure that they have the opportunity to develop to their full potential? how do we strive for effective assessment that is meaningful in terms of when it happens within the year, in what guise and under what constructs? You can access Sally’s slides on her website at http://sally-brown.net. Her advice came from over 40 years of experience and as Sally said herself, it was not ‘rocket science’. Telling it how it is, so to speak, Sally gave us a lot to think about. There were many points in the talk where I thought ‘I want to listen to that again’ or ‘I could share that with my friend/colleague’. Cogi let me do that easily and here I will show you how. Cogi is an audio recorder with ‘Back to the Future-esque’ features. You sit down for your conference, meeting or lecture and start a new session in your Cogi app. Cogi then begins to ‘listen’ but not yet record. 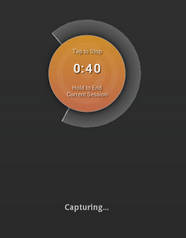 As soon as you are ready to record, tap your finger and Cogi will rewind and audio capture up to the last 60 seconds and continue to record from that moment. Yes, it goes back in time and captures what has already been said. This short Corgi video will give you more of an idea. Cogi offers a more effective way of listening. If you take notes, you are going to miss the next thing that is being said while you are jotting down the current comment. Cogi allows for clever listening. If you are using a traditional audio recorder, it is sometimes not until you are halfway through a point that you realise that you wanted to record it. Cogi will go back to that point of time and you’ll have the whole highlight just where your ears would have pricked up had they known what was coming. Using a traditional recorder, you are unlikely to record the entire event and be able to return to it to locate the highlights. My colleague has a new job as a student retention officer. I was able to pop into her office and give her access to the clips that I knew would be of interest to her. Despite not being at the conference, she could glean a lot from Prof Sally Brown on retention. One of the attendees was super impressed by what she had heard too and I can offer her my snippets to share with her colleagues. Here are my audio clips from Professor Sally Brown’s keynote. You just need to download the clip and then play. This is how the audio recordings looked. You can add an image and notes so you’ll never forget what you were recording and why you wanted to listen again. The transcript option is a paid for option. If you use Cogi, try not to use more than one device. I learnt the hard way and have had a tricky time making these audio files available to you. I began using Cogi with my android phone and then took my iPad to the conference. It was not possible to sync devices to the one account and I have conducted all manner of witchcraft to make the files accessible. Do try Cogi but just with the one device. Do listen to Sally, with both ears. 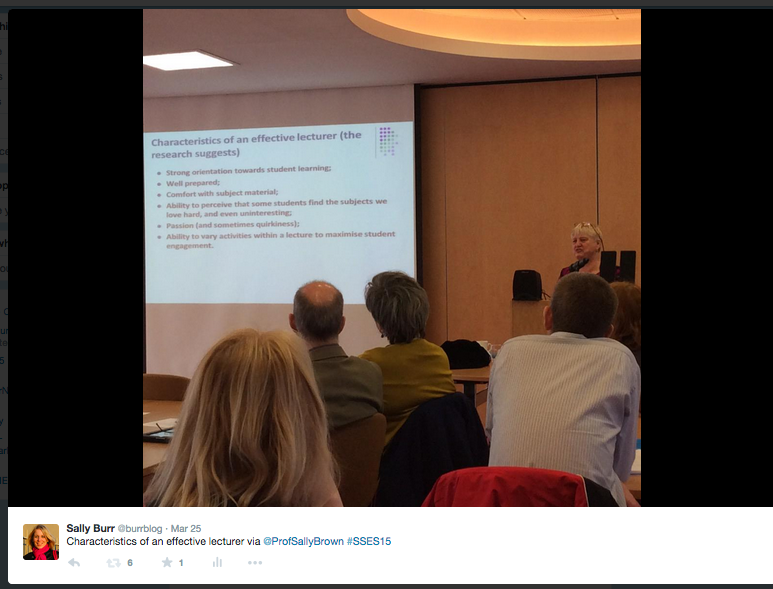 A quick reminder, Professor Sally Brown’s slides can be accessed here at http://sally-brown.net/. 1 Pings/Trackbacks for "The perfect blend: a brilliant speaker and the perfect listener"